The picture shows Cath MacClennan outside no. 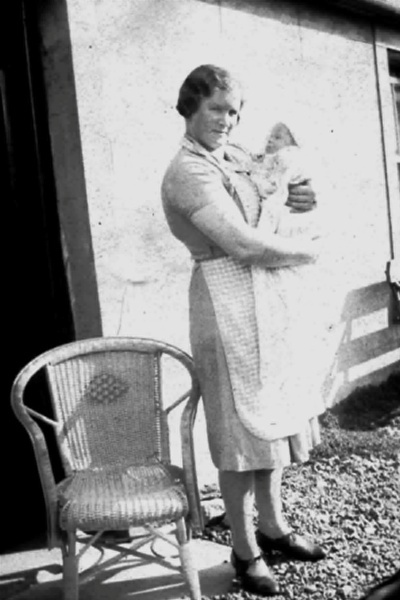 4 High Street, Invergordon in July 1939 - the baby she is holding is me. At the time Ack and Cath lived next door to my mother and father (Jim and Jean Mackenzie) at no. 6 High Street.